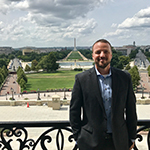 This week on "Off The Cuff," Justin, Megan, and Allie recap NASFAA's recent Leadership & Legislative Conference & Expo, which concluded with hundreds of financial aid professionals visiting their representatives on Capitol Hill this week. Skip to 7:35 to get right to the policy discussion. Allie details a recent court decision that could bring relief to a group of borrowers who sued the Department of Education over the agency's handling of their Public Service Loan Forgiveness applications, and Megan outlines what we know so far about Sen. Patty Murray's (D-WA) priorities for a Higher Education Act reauthorization. Plus, hear Justin give us his best rendition of Lady Gaga and Bradley Cooper's Oscars performance.